There are many types of insurance available to Canadian Families. The purpose of this blog is to examine several types from the average family’s point of view with the average family’s budget and to point out come tricks and traps to watch out for based on my nearly 20 years of practice as a solicitor in Estate Planning in Edmonton, Athabasca and Whitecourt. “Where There is A Will, There Is a Relative” is a common joke we tell in our Estate Planning Appointments. Just as important as a Will is a Power of Attorney and proper Life Insurance and Disability Insurance. There are several problems with this concept. The first is the simple limits, often they are not enough. Second, they may be taxable. Thirdly, you may switch jobs, lose your job or your employer simply cancels the benefits leaving you with nothing. Example: of employer sponsored group disability insurance being taxable: Employee earns $75,000.00 per year. Employer pays the premium. Employee is entitled to 2/3 of income or up to $4000.00 per month. Employee qualifies for $48,000 per year or $4000.00 per month of disability income, close to their take-home pay. However, because employer paid premium, $4000.00 is now taxed at (example) 40%. Therefore deductions are $1600.00 per month leaving $2400.00 net to employee to pay mortgage, vehicle payments groceries, etc. Lesson: It is good to have your own private top up or replacement insurance. Myth #2. I have Mortgage Life and Disability Insurance. (This one caught me personally). I purchased my first home. I bought life and disability insurance. After 5 years, I decided to switch mortgage lenders. However, at year 3, I was diagnosed with High Blood Pressure. I switched lenders, filled out all the paperwork only to be disqualified for disability insurance because my HBP was considered a pre-existing condition. The same thing happened to my business partner who has a rare disorder that has a very low chance of becoming throat cancer and is easily treatable. Solution: We spent about a year researching different types of Loan Insurance. After undergoing heavy medical under-writing ,we obtained decent coverage that for my partner covered everything except throat cancer; and for me, covered everything except stroke (which was reduced after a 5 year waiting period). Product: We settled on Desjardins Solo Loan Insurance. Tip: Pick a 90 day elimination period for disability; and, until age 65 clause to keep your premiums down and maximize your protection. Trap: With mortgage life insurance, you are often buying a product that has an age based declining payout with a premium that increases every 5 years. Solution: Buy your own term insurance for on a term 20 or term 30 plan that will payout the mortgage and over time and have money left over to pay for extra expenses. Myth #3. I need Universal Life Insurance. In Alberta there are 3 types of life insurance: Universal, Whole Life & Term. Before we discuss these types of insurance, we need to understand the philosophy of Life Insurance. The first (and simplest) idea is that it is simply income replacement; it is to help your family deal with the loss of an income earner and deal with unexpected expenses, such as a funeral and both long term and short term debts. As you approach retirement age or your debt comes down, (or both), then there is less need to insure the family income earner(s). The second idea is that Life Insurance is to be permanent product for the purposes of leaving a legacy. In this scenario the family member buys a large policy that will see that not only are the above needs met but there is money left over to give a substantial gift to the members’ child or children. Either of the above is a personal choice and comes down to budget and can be achieved with a single policy or multiple policies which I call “laddering”. This is what I have. While I did not understand it at first, I do now and might have done things differently. Thankfully my agent was thoughtful and set me up on one very important but expensive plan, called level premium to age 100 rider. In simple terms you buy a certain amount of insurance. For my example, we will use $1,000,000.00. You pay based on an annual premium. Let us use $300.00 per month for example or $3600.00 per year. In addition, you pay another $300.00 per month for another $3600 a year totaling $7200.00 per year. The additional $300.00 is invested in the stock-market for returns. In time, the idea is that you will have approximately $100,000.00 or so in savings; and, the income generated in the tax sheltered portfolio will be enough to pay the annual premium (increasing each year); and, when you die, the face amount of the policy along with any savings will be paid to your estate. Danger: If the investment portion behaves poorly, there will be no increase in savings to offset the increase of premium every year. Solution: Level Premium to Age 100. In my case my agent set a higher than average monthly premium at the start, which will stay level until age 100, so even if there are no savings or return on investment; however, as long as I pay the base amount, my insurance will always be in place. Benefit: As your policy generates income, if it does well, later in life, the Plan can pay you money out of the wealth generated tax free. They do this by “lending” you the money at a very low interest rate, then paying the loan back out of the Life Insurance Proceeds on death. Whole Life Insurance: This is simpler that a Universal Life Insurance Policy. You simply purchase a face amount, let us say $500,000.00 and make payments over a number of years. Once paid up, it is in place until you die, even if you live to be 103. If you die before it is paid up, the face amount is paid to your family. If you do live to be 103, it may also accumulate cash value and pay out more than the face value. It may also be cashed out at some point, collapsing the policy, allowing access to the accumulated cash value. Term Life Insurance: This is the simplest form of insurance. You buy a face amount based on a monthly or annual payment for a certain length (term) of time. Usually the shorter the term the cheaper the rate. Usually offered in a 10 year term; 20 year term; or, 30 year term. The longer the term, the greater the likelihood that you will die, so the more expensive the premium. Compartmentalization: The strategy of purchasing life insurance for different scenarios. Rather than buy one large policy to cover everything you buy 2-3 policies for different things, so if you become disabled or lose your job for a long length of time, you can cancel two or three policies without becoming completely exposed to having no insurance. Example. You buy your first house for $325,000.00. One strategy is to purchase a T-30 policy for $350,000.00 for 30 years. As you build up equity in your home, you build up equity in the policy. Also, if you switch lenders at any point and you do not qualify for life insurance because of a pre-existing condition, your home is still protected in the event of death. You then buy a second T-20 policy when your first child is born for $450,000.00 to cover off living expenses, nanny costs, university costs or other unexpected expenses during the first 20 critical years of starting a family. Lastly, you buy a $375,000.00 T-30 policy to cover off funeral arrangements, loss of income and other expenses in case you die during the first 30 years of marriage. Laddering.A strategy to buy several term policies to have the most coverage at the early stages of having a family, which drop off as time goes on. Maybe a T-10 for $100,000.00 when each child is born, a T-20 at the birth of the first or last child for $350,000.00 and T-30 for $375,000.00 when you buy your first house. The lower term policies will be cheaper, allowing you to put the difference in savings into an R.R.S.P., R.E.S.P. or Tax Free Savings Account. Critical Illness Riders/ Disability Riders. If you are diagnosed with a life-threatening critical illness, a portion of the policy (usually up to 10%) be converted to a living benefit (benefit payable while still alive). Also, will the insurance company waive the premiums during the period of disability. COLA (Cost of Living Riders). Will the disability premiums be adjusted upwards to offset the cost of inflation during a long term disability? A long term disability can see the buying power of the premium adjusted downwards from 20%-45% over a 10 year plus period. Retirement Saving Riders. This is one I missed on my disability policy. Most disability policies end at age 65. During this period, saving for retirement is difficult in not impossible. I was offered this rider for $50.00 per month in which case my disability provider would put an additional $1000.00 per month into an R.R.S.P. they managed, from the date of disability until the age of 65. I really wish I would have purchased this. Conclusion: There are many other riders, including Return on Premiums and Child Protection Riders. It is a good idea to have a discussion with your licensed agent to discuss all riders and to understand what you are getting and giving up. 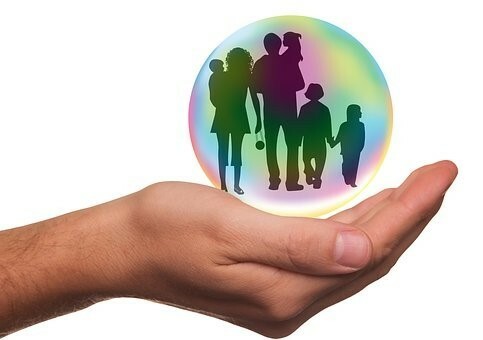 There are also many other types of insurance such as hospitalization insurance and critical illness insurance, both of which will be discussed in a separate article. One unique insurance product to Canada is Manulife’s Synergy Policy, which is a 3-in-1 insurance pool for Life, Disability and Critical Illness. While typically 33% cheaper than buying 3 separate policies; it is also a declining pool. However, the affordability and customization of this policy makes it appealable to many. For more information, please contact a licensed insurance agent. The thoughts and opinions on this page are not intended to be legal or insurance advice and are simply thoughts for discussion based on observations of a mom and pop type Edmonton lawyer. This entry was posted in insurance, Richard's Blog by verhaeghelaw. Bookmark the permalink.